We all have different running styles and that means different types of footwear to optimise or help to ‘correct’. We can film you running on our treadmill, which gives us a very good indication of your running style. An analysis of this will then help us recommend a ‘type’ of running shoe. The first thing we are looking at is where the foot strikes the ground – heel or midfoot. We give advice on what we consider to be a good running style but believe on recommending a shoe for how somebody currently runs. We are then looking at if there is any excessive inward rolling of the foot. 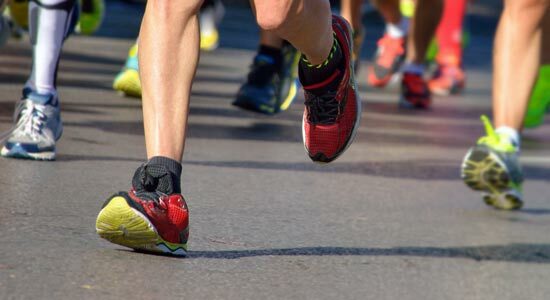 A lot of runners will benefit from some form of stability in their shoe to control excessive pronation. More support is not always a good thing though and we see a lot of runners who have been recommended stability shoes who don’t need and are better in a ‘less solid shoe’. There are a number of new brands on the market that don’t necessarily fit into the very ‘black and white’ shoe fitting model that some shops still use. 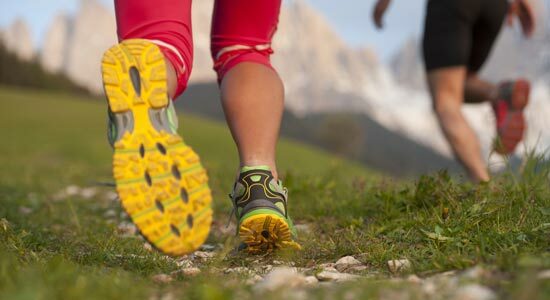 We have seen brands such as On, Hoka and Altra become very successful over the last couple of years, and with the use of video gait analysis, will often recommend them as an alternative to some more ‘traditional shoes’.